Every child is different, but as a general guide you should only move your child to the next level of protection when they no longer fit in their current child car seat. If your child car seat has shoulder marks printed or sewn on the cover, move your baby to a forward facing car seat when his/her shoulders have passed the upper marks. If your child car seat has shoulder marks, move your child to a booster seat when his/her shoulders have passed the upper marks. If your child car seat has shoulder marks, move your child to a seatbelt when his/her shoulders have passed the upper marks. This depends on whether there is more than one row of seats in the car and the age of the child. A child under four years of age cannot sit in the front row if there is more than one row of seats, even if they are large enough to fit in a booster seat. A child between four years of age and under seven years of age cannot sit in the front row if there is more than one row of seats, unless the other rows are occupied by younger children in approved child car seats. However, for their safety, it is strongly recommended that children up to and including 12 years of age always sit in the rear seat. Note: As front seats do not have child car seat anchorage points supplied, child car seats and booster seats with top tether straps cannot be used in these seating positions, unless an anchorage point has been retro-fitted. A child of any age can sit in the front seat provided they are properly restrained. However, most car manufacturers recommend against the use of rearward facing child car seats in front passenger seats. A child in a rearward facing car seat should not be placed in the front seat of a vehicle where there is an air bag. This will depend on the age of your children and the size of your car, as well as the type of child car seats including booster seats you have. If you have a standard sedan with two rows of seats you should be able to accommodate three child car seats in the second row and carry one child aged over four years in the front row. 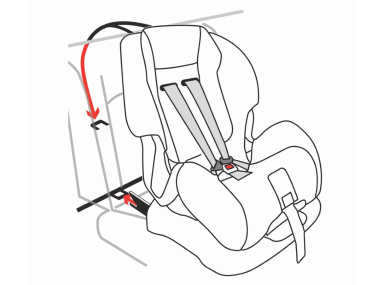 As front seats do not have child car seat anchorage points supplied, child car seats and booster seats with top tether straps cannot be used in these seating positions, unless an anchorage point has been retrofitted. Booster seats weighing less than 2 kg do not require a top tether strap. There are a range of child car seats including booster seats available with narrow bases that may be suitable for your child and car. You can find the car seat dimensions listed under "Find and compare child car seats" results to see if the seat will fit in your car. All passengers younger than 6 months must be secured in an approved rearward facing child car seat. All passengers aged 6 months to less than 12 months must be secured in an approved rearward or forward facing child car seat. Passengers under 4 years old must not be in the front seat. Passengers aged between 4 years and under 7 years may sit in the front seat only if the rear seat(s) are occupied by passengers under seven years old. In New South Wales, all wheelchair accessible taxis are required to carry an approved child car seat. If you need a car seat for your child, you should ask for one when booking a taxi or take one with you (all passenger vehicles and some types of buses sold in Australia since 1995 must be fitted with child restrainit anchorage points). A child under one year old is travelling in a taxi and a suitable child car seat is not available, however the child must not travel in the front seat. A child aged over one year old is travelling in a taxi, and there is no suitable child car seat available and the child occupies their own seating position. It is recommended that parents provide their own child car seat when travelling in a taxi. In New South Wales, all child car seat requirements that apply to drivers of private cars also apply to drivers of hire vehicles or rideshare vehicles. A driver of a bus that is designed to seat over 12 adults (including the driver), is not required to ensure passengers, including those under 16 years of age are in a restraint. It is recommended that where a restraint is available, it should be worn. No. Child car seats bought overseas do not comply with Australian Standards and they are not compatible with Australian vehicles. Australian vehicles have a unique top-tether strap anchorage system, with which only Australian Standard approved child car seats are compatible. In addition, the Australian Standard for child car seats is one of the most stringent child restraint standards in the world. Unlike the European Standard, the Australian Standard requires all child car seats to be tested in side and rear impact tests, and some with an inverted test for roll-over protection. A child safety harness is difficult to fit correctly. Research recommends using a child safety harness only in situations where it is not possible to replace your lap-only seatbelt with a lap-sash seatbelt. In this case, it is recommended to use a booster seat with an anti-submarining feature. If you must use a child safety harness, ensure that the shoulder straps are not too tight and that the lap part of the seatbelt is very low across the thighs, otherwise it may ride up into the child's stomach area. Incorrect use of a child safety harness may cause severe submarining and direct contact between the harness system and the child's neck (see video below). Remember, every child must be suitably restrained when travelling in a vehicle, unless you have and carry a current certificate signed by a medical practitioner exempting your child due to medical reasons. Most cars sold in Australia have three child car seat anchorage points fitted as standard. If your car has three rows of seats, it is possible to carry more than four children, however, additional anchorage points must be retro-fitted to connect the top tether straps of any additional child car seats you place in the car. Front seats do not have child car seat anchorage points supplied. Child car seats and booster seats with top tether straps cannot be used in the front seat unless an anchorage point has been retro-fitted, however, booster seats weighing less than 2 kg do not require a top tether strap. Some cars have additional third-row seats that are designed for use by children aged four and less than seven years, without the need to be used in conjunction with a booster seat or child restraint, provided the seat is suitable for the child’s size and weight and a lap-and-sash seatbelt or lap seatbelt with an approved child safety harness is used. Authorised Restraint Fitting Stations offer specialist help to install additional anchorage points, retrofit lap and lap-sash seatbelts or fit child car seats that require vehicle modifications. The Australian/New Zealand Standard for child car seats is the Australian/New Zealand Standard 1754 Child restraint systems for use in motor vehicles (AS/NZS 1754). AS/NZS 1754:2013 is the current version and was published on 7 June 2013. 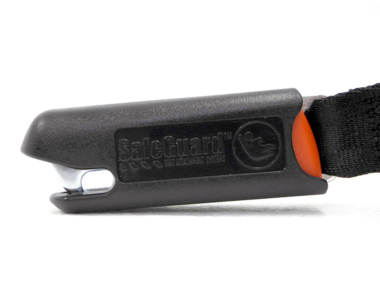 This version introduces new requirements for a lower anchorage system for restraining a child car seat to the vehicle instead of using the seatbelt. Child car seats provided with this alternative option are defined in AS/NZS 1754 as "ISOFIX compatible child restraints". Anyone who needs information about child car seats can use this website, including prospective parents, grandparents, carers, authorised fitters, manufacturers, and childcare professionals. Designing vehicle seatbelts to achieve their primary purpose of protecting occupants creates challenges when installing child car seats in vehicles. The idea originated in Europe to develop a child car seat anchorage system that was independent of the vehicle seatbelt. In 1989, the International Organization for Standardization (ISO) began work to develop an ISO standard. This ISO standard was published in 1999 and is called the ISO 13216-1 Standard Road vehicles – Anchorages in vehicles and attachments to anchorages for child restraint systems. 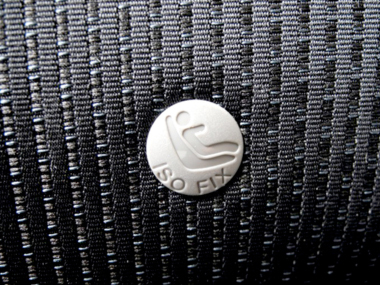 ISOFIX is defined in the ISO standard. United States: this system is known as LATCH (Lower Anchors and Tethers for Children). The Federal Motor Vehicle Safety Standard (FMVSS 225) requires ISOFIX low anchorages in the vehicle, two lower attachments connectors at the base of the child car seat, which may be either rigid or flexible, and a top tether strap. Canada: this system is known as the Universal Attachment System (UAS) and is similar to the LATCH system in the United States. Europe: this system is known as ISOFIX and includes three types – universal ISOFIX, semi-universal ISOFIX and vehicle specific ISOFIX. The United Nations Economic Commission for Europe Standard (UNECE R14) features ISOFIX low anchorages in the vehicle and a pair of rigid attachment connectors at the base of the child car seat, in addition to other requirements depending on the ISOFIX type. Australia: this system is known as ISOFIX compatible. The Australian Design Rules for vehicles provide an option for ISOFIX low anchorages in the vehicle with a corresponding top tether anchorage point. A pair of ISOFIX compatible lower attachment connectors for rearward and forward facing child restraints is provided as an option in the Australian/New Zealand Standard for child restraints (AS/NZS 1754:2013) in addition to the top tether strap. Note: For ISOFIX related information relevant to New Zealand, please contact the New Zealand road authority. The ISOFix compatible system for Australia represents a combination of changes to the Australian Design Rules for vehicles (ADR 34) and the Australian/New Zealand Standard for child restraints (AS/NZS 1754). The Australian Design Rules have been amended to set design and performance requirements for any new vehicle being supplied to Australia with ISOFIX low anchorages. Vehicle manufacturers, from 1 November 2012, could include ISOFIX low anchorages in new models of vehicles, and from 1 November 2013 for all other new vehicles of existing models. The Australian Design Rules have been amended to set design and performance requirements for any new vehicle being supplied to Australia with ISOFIX low anchorages. Vehicle manufacturers, from 1 November 2012, could voluntarily include ISOFIX low anchorages in new models of vehicles, and from 1 November 2013 for all other new vehicles of existing models. The lower attachment connectors on the child car seat can either be a pair of rigid or flexible connectors. 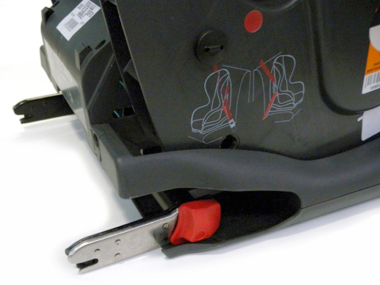 The lower attachment connectors are incorporated into the child car seat design at the time of manufacturer and connect to the vehicle's ISOFIX low anchorages. In Australia, an ISOFIX compatible child car seat that complies with the Australian/New Zealand Standard 1754, connects to a vehicle's ISOFIX low anchorages and top tether anchorage point by using the child car seat’s rigid or flexible lower attachment connectors and top tether strap. ISOFIX compatible child car seats that comply with AS/NZS 1754 are also suitable for use in seating positions not fitted with ISOFIX low anchorages. Install the child car seat in the vehicle by using the vehicle seatbelt and top tether strap. When the vehicle seatbelt is being used, the lower attachment connectors on the child car seat are not required and can be retracted. Rigid or flexible connectors are incorporated into the design of the child car seat at the time of manufacture and both types are compatible with the vehicle's ISOFIX low anchorages. This is why the restraint is called an ISOFIX compatible child car seat. 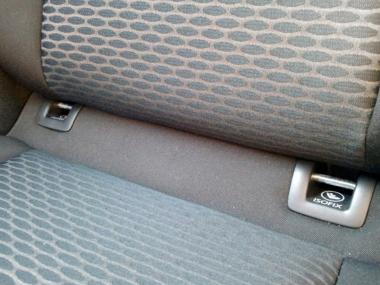 Rigid connectors: A pair of rigid connectors are located at the base of the child car seat, which connect to the vehicle's ISOFIX low anchorages. The top tether strap must be anchored to the vehicle. The vehicle seatbelt will not be required when the rigid connectors are being used. Flexible connectors: A pair of flexible straps with connectors are located at the base of the child car seat, which connect to the vehicle's ISOFIX low anchorages. The flexible connectors are then adjusted to secure the child car seat firmly to the vehicle. The top tether strap must be anchored to the vehicle. The vehicle seatbelt will not be required when the flexible connectors are used. Child car seats that comply with the Australian/New Zealand Standard for child restraints (AS/NSZ 1754), including ISOFIX compatible child car seats, are different to child car seats from overseas. be tested in an inverted position to test for occupant ejection (to ensure the child is not ejected from their child car seat if the vehicle rolls). It will continue to be illegal to use an ISOFIX compatible child car seat from overseas. It is not known at this stage whether the ISOFIX compatible system for Australia is an easier system to use. This depends on the design of the child car seat, the design of the vehicle, and the ease of access to the ISOFIX low anchorages in the vehicle. Australian research has shown that installing a child car seat using the vehicle seatbelt accounts for 25 per cent of misuse in forward facing car seats and 10 per cent misuse in rearward facing car seats (Brown et al. 2010). ISOFIX and similar systems (for example LATCH) were designed to reduce serious installation errors when the vehicle seatbelt is used to secure the child car seat. However there is still potential for incorrect use of ISOFIX low anchorages. This was recently highlighted in an overseas study which showed 40 per cent of parents incorrectly connected the child car seat to the vehicle's ISOFIX low anchorages. Details of this research can be found in the Insurance Institute for Highway Safety Status Report (2012). Whether a car seat uses ISOFIX compatible connectors or the vehicle seatbelt, parents and carers need to continue to take care when fitting and using child car seats. No. Child restraints that use the vehicle seatbelt and top tether strap continue to be available. The reason for introducing the ISOFIX compatible system to Australia is not because there are any concerns with the current Australian system of using the adult seatbelt and top tether strap to install child car seats. There is strong evidence that Australian child car seats, which use the top tether and vehicle seatbelt to secure the restraint to the vehicle, provide excellent protection to children, even in very high severity crashes. The ISOFIX compatible system for Australia provides consumers with greater choice. All AS/NZS 1754 child car seats, whether they are ISOFIX compatible or not, can be installed using the vehicle seatbelt and top tether strap. When buying a child car seat or booster seat, look for the Australian and New Zealand Standard label on the seat and wording on the package that states it complies with AS/NZS 1754. Child car seats that meet the standards released in 2000, 2004, 2010 and 2013 are legal and can be used in motor vehicles throughout most of Australia. No. Child car seats bought overseas are illegal to use in Australia as they do not comply with AS/NZS 1754, the Australian/New Zealand Standard for child car seats. AS/NZS 1754 is one of the most stringent child car seat standards in the world. Unlike the European standard, the Australian/New Zealand Standard requires all child car seats to be tested in side and frontal impact tests, and some with inverted tests for roll-over protection. In addition, all rearward and forward facing child car seats meeting the Australian/New Zealand Standard (AS/NZS 1754) must have a top tether strap. When buying a child car seat, look for the standard's label on the seat and wording on the package that states it complies with AS/NZS 1754. Yes. Australian rearward and forward facing child car seats all require the use of the top tether strap. This continues to be required for all rearward and forward facing child car seats, including any AS/NZS 1754 ISOFIX compatible child car seats. A top tether strap prevents the child car seat from rotating forward in a crash and is tested for strength, independent of the ISOFIX low anchorages or vehicle seatbelt. No. Since 2000 some imported vehicles from Europe, Asia and the United States have arrived in Australia fitted with ISOFIX low anchorages. This has been included on a voluntary basis by the manufacturer, so not all vehicles sold in Australia have ISOFIX low anchorages. In preparation for the introduction of ISOFIX compatible child car seats that comply with AS/NZS 1754, Australia has recently changed the Australian Design Rules for manufacturers to voluntarily include ISOFIX low anchorages. This came into effect on 1 November 2012 for new models of vehicles, and 1 November 2013 for all other new vehicles of existing models. In newer vehicles it should be easy to identify the location of ISOFIX low anchorages. The ISOFIX low anchorages should either be visible or their location clearly marked with the ISOFIX symbol (see below). One type of marking that indicates the vehicle seating position is fitted with ISOFIX low anchorages. Some older vehicles may have ISOFIX low anchorages fitted, however, the location may not be clearly marked with the ISOFIX symbol. In these instances, contact the vehicle manufacturer. Yes, provided the seating position has a corresponding top tether anchorage point and you are using an ISOFIX compatible child car seat that complies with the Australian/New Zealand Standard for child car seats (AS/NZS 1754). Some older vehicles may have ISOFIX low anchorages but no corresponding top tether anchorage point. A corresponding top tether anchorage point must be fitted before these ISOFIX low anchorages can be used. Contact your nearest Authorised Restraint Fitting Station, licensed certifier or vehicle engineer to determine if a top tether anchorage point can be installed. ISOFIX low anchorages are built in to the vehicle at the time of manufacture, if the vehicle manufacturer chooses to provide them. The number of ISOFIX low anchorages depend on the design of the vehicle. Generally, ISOFIX low anchorages are located on the two outer seating positions in the second row, and not in the middle seating position. If you wish to use the middle seating position in the second row, you can still fit an ISOFIX compatible child car seat in the middle position by using the vehicle seatbelt and top tether strap. It is not recommended to have aftermarket ISOFIX low anchorages fitted. Yes. The Australian/New Zealand Standard for child car seats (AS/NZS 1754:2013) requires all child restraints (including ISOFIX compatible child car seats) to be able to be anchored to the vehicle using the vehicle seatbelt and the top tether strap. If provided, ISOFIX low anchorages are generally located on the two outer seating positions in the second row. The experience in Europe is that if using both pairs of ISOFIX low anchorages, it is unlikely that there will be room for a third child car seat or passenger in the same row. However, as ISOFIX compatible child car seats that comply with AS/NZS 1754 can be fitted to the vehicle using the vehicle seatbelt and top tether, it may be possible to use three car seats in the second row, depending on the size of the vehicle. Some manufacturers may offer three ISOFIX anchorages in the same row, however, it will depend on the size of your vehicle whether you can fit three ISOFIX compatible child car seats side by side using the ISOFIX low anchorages. No. Only child car seats that have been specifically manufactured, crash tested, and certified to the Australian/New Zealand Standard (AS/NZS 1754:2013) can be used. ISOFIX compatible child car seats cannot be used in the front row of vehicles with two or more rows of seats. In Australia, children aged under 7 years must not travel in the front seat of a vehicle with two or more rows of seats. However, if all rear seats are being used by children aged under 7 years, then children aged 4 years to under 7 years may travel in the front seat, provided they use a booster seat. If your vehicle does not have a rear row (for example, a ute) children are able to travel in the front row, provided they are restrained in a suitable child car seat that is properly adjusted and fastened. A rearward facing child car seat cannot be used in the front row where a passenger airbag is fitted. No. AS/NZS 1754:2013 only allows child restraint manufacturers to produce ISOFIX compatible rearward and forward facing child car seats, not booster seats. ISOFIX compatible system for Australia means an AS/NZS 1754 ISOFIX compatible child car seat, which connects to a vehicle's ISOFIX low anchorages and top tether anchorage point, using the car seat’s rigid or flexible lower attachment connectors and top tether strap. ISOFIX compatible child car seat is a car seat fitted with lower attachment connectors that are capable of connecting to the ISOFIX low anchorages in a vehicle. Note: All ISOFIX child child car seats in Australia are fitted with a top tether strap. ISOFIX low anchorages are a pair of dedicated anchorage bars, fitted to the junction of the vehicle's seat back and cushion, specifically for attaching an ISOFIX compatible child car seat. The locations and designs of these ISOFIX low anchorages are controlled by the Australian Design Rules for vehicles. Lower attachment connectors can either be a pair of rigid or flexible connectors. These will be fitted to the base of the child car seat and connect to the vehicle's ISOFIX low anchorages. The top tether strap will also need to be anchored to the vehicle. The vehicle seatbelt will not be required when the lower attachment connectors are being used. Rigid connectors are a pair of rigid lower attachment connectors located at the base of the child car seat that connect to the vehicle's ISOFIX low anchorages. 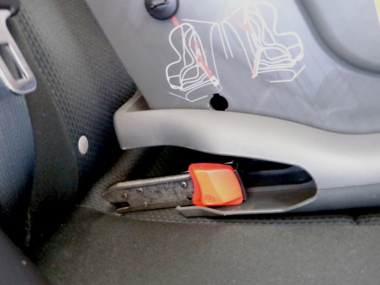 Flexible connectors are a pair of flexible straps with connectors located at the base of the child car seat that connect to the vehicle's ISOFIX low anchorages. The flexible connectors are then adjusted to secure the car seat firmly to the vehicle. Top tether anchorage strap is the flexible component designed to restrain the top portion of the child car seat, referred to in consumer literature as the top tether strap. Previously called an upper anchorage strap.